Nectarines are back! Rama Farms with their signature nectarines, F.V. St Jude with sushi grade tuna, Sound Bites with fiercely local hummus, and Trevani Truffles with handmade chocolate truffles. Working on your native plant garden? Mariposa Naturescapes can help with everything from plants to design and installation. This week's music from Squirrel Butter. Get ready for next week's annual Zucchini 500 Races! My 10-yr old daughter Gracie is putting together the first-ever Rainier Community Center girls volleyball team for 10-11 yr olds. Would your daughter like to join her? Open to all 10-11 yr old girls who are interested in volleyball and want to have fun! Have a great time learning basic skills, team work, and sportsmanship skills needed to participate in league play. We'll play games at Rainier Community Center and other community centers in the City. Would you like to coach? Be sure to let Rainier Community Center know! Do you have a 12 or 13 yr old who wants to play? You can create your own 12-13 yr old team at Rainier Community Center. Or join an existing team at Jefferson Community Center. Please join us for a jewlery-making workshop and fundraiser for SEEDArts on Sunday, September 20 (3 -5pm). Enjoy coffee or tea and baked goodies while you learn how to make wire-wrapped jewelry (workshop begins at 4pm). Bring your own wire and beads to use or share, or use supplies that we provide. We'll request contributions to SEEDArts. Invite your friends and RSVP today — space is limited to 35 people. For location details or to RSVP please email Abbey Norris (gro.elttaesdees|sirrona#gro.elttaesdees|sirrona) or 760-4289. What volunteering looks like: Volunteer shifts are two hours long. During this time, you pass out flyers to people entering the store (the flyers contain a grocery list with our most needed items). Some people will purchase items inside the store and drop them off with you. You give them a warm thank you and a smile and pack the groceries into the containers provided by RVFB. The stronger of our volunteers may wish to help load bags, boxes or barrels of food into our waiting vehicle. Join us on PARK(ing) Day! 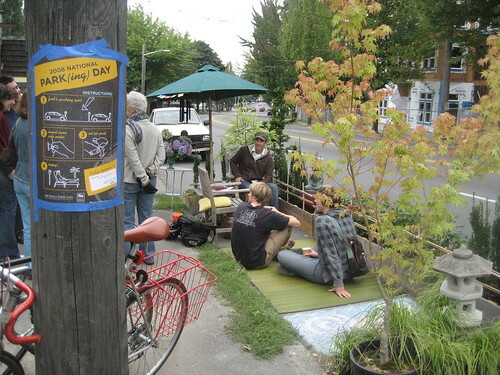 On Friday, September 18, SEEDArts will be taking over a parking space in front of Lotus Yoga (4860 Rainier Ave S) in Columbia City for PARK(ing) Day. This is a "one-day, global event to highlight the need for more urban open space, rethink the way green space can happen, and improve the quality of urban human habitat". Come by and visit between 9-3pm! The SEEDArts parking space is sponsored by Lotus Yoga with design collaboration from Alex Martin (Jubilee Event Engineers) and Mary Coss (Wit Visuals). For more info contact Abbey Norris at 760-4289. The Juneau Street Park (located at 46th Avenue South and South Juneau Street) needs you! The first of 4 work parties is scheduled for this Saturday, Sept 12th from 10am - 2pm. Bring your shovels, clippers, gloves, and gardening tools. We'll be having the first Best Darned Chili in Hillman City Cook-Off during the work party so make sure to bring your best chili to share and bring your appetite! Judging of the fabulous chilis will be at noon. Have fun and get to know your neighbors! Help clean up the future Juneau Street Park! Eat lots of chili! 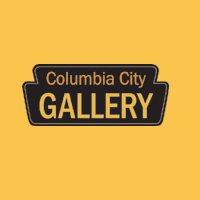 The Columbia City Gallery features Masked, new works by gallery artists Mark Ditzler, Elizabeth Halfacre, Elinor Maroney, Sultan Mohamed. In the Guest Gallery, we present Out of the Fire: works by the Washington State Enamellists Society. This exhibit highlights the work of 18 artists who create sculptures, two-dimensional wall art and jewelry in enamel. The exhibit includes various techniques of enamel work, including: cloisonné, basse taile, and plique-à-jour. Exhibits end Sept 27th. Please join us to see the final plans for a cool new play area and learn how you can help get it built by June 2010! Our project's budget is $700,000. We have just $50,000 left to go and we need to raise this by Halloween. Will you please help? $1 to $99, Good Neighbor — Every dollar will make a difference! Or make your donation online with a credit card at the SPPIF website. All donations are tax deductible. Thank you for helping build a new play area at Seward Park! We look forward to sharing the plans with you. The Rainier Valley Historical Society is proud to announce the unveiling of our newly redesigned website, one that will allow us to provide much more information about our services and programs, as well as a wealth of information on the history of Rainier Valley and its people. Read the "Days Gone By" articles by former RVHS President Marvin "Buzz" Anderson, view slide shows on topics such as baseball in the valley, get information on our latest research projects, and browse through our collection of historic photographs. History mavens may also share their own memories of the Rainier Valley via our "Tell Us a Story" webpage. 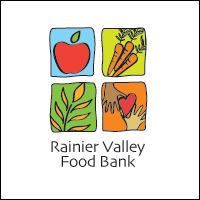 Visit our website at www.rainiervalleyhistory.org. Discussion leader Georgia McDade. Books available at no charge at Bookworm Exchange, 4860 Rainier Ave S. Call 722-6633 to pick up your book. Support SEEDArts programs and local restaurants at the same time! Just dine at a participating restaurant during a "Dine out for Art" event and a portion of the proceeds will benefit SEEDArts Annual Fund! A new session of Booty Camp starts September 21! Booty Camp is a no-nonsense fitness program designed to help women feel strong and confident in their bodies. 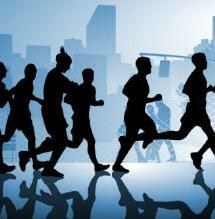 Revitalize yourself with morning work outs in Seward Park! Please visit our website for more information: southsidebootycamp.com. 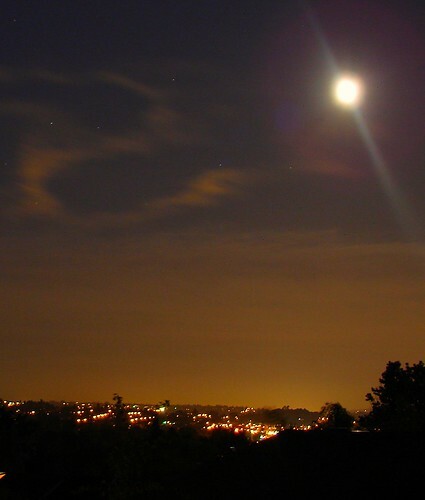 We're a group of Columbia City residents and other south enders who share a love of running. Runners of all levels will feel welcome. We meet every Saturday morning at 8:30 (Parking lot outside The Verve) and Tuesday evenings at 6:30 (In front of the Pottery Studio at Seward Park). Saturday we generally run together the first mile and then split into groups to suit everyones' wants/needs. And we always meet back at The Verve or Empire Espresso for water, coffee, socializing and maybe a bite to eat. Tuesdays are a 2-3 mile run broken up with various strength training excercises. Kidical Mass Seattle will head South of the Ship Canal this month for Bicycle Sundays on Lake Washington Boulevard! Next Sunday, Sept 13th, we'll meet at 2:15pm at the north end of the Lake Washington Boulevard (LWB) street closure, which is where Lake Park meets LWB, at Mount Baker Beach. Look for the blue bucket bike. We'll leave at 2:30, and ride down the closed-to-car-traffic boulevard all the way to Seward Park, where we'll enjoy a treat of some kind, as we are wont to do. But wait! The bike fun doesn't stop there … we'll also ride back up the boulevard and up into the Central District for a 5pm "Endless Summer" family-friendly bike scavenger hunt to benefit the Bikery, followed by an outdoor bike-in screening of Pee-Wee's Big Adventure! KING5 was on the scene after a car hit a house at 42nd Ave S & Rainier. Mossback reminisces about his old neighborhood. The South Seattle Beacon was at last month's parade and took some pictures. Seattle Business Monthly looks at transit oriented development, including Harbor's project at the St Gobain site.